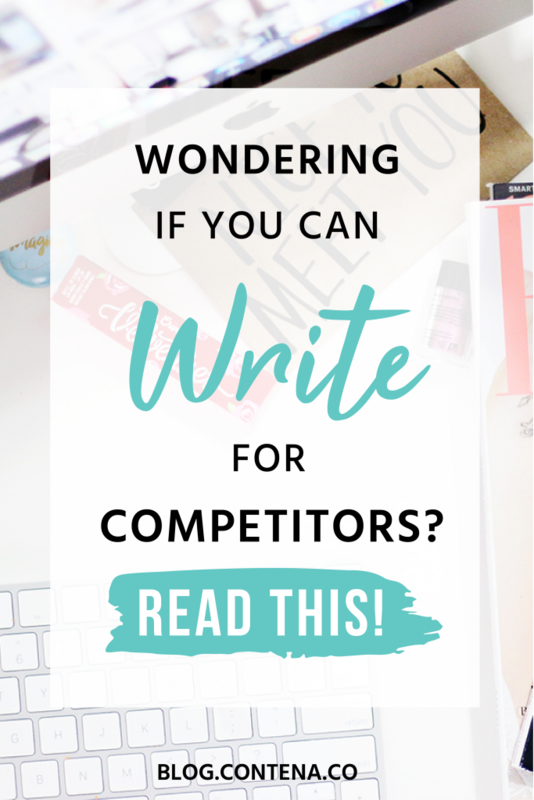 Can You Write for Competitors? Any freelancer will tell you that niching down is one of the most important aspects of their business. However, specializing in a specific area does come with a few challenges. One of the most common concerns I’ve come across while working within a niche is the issue of writing for competing clients. So, what’s the right move for a freelancer stuck between competing clients? Keep reading to find out how to navigate the tricky situation of working for competitors with both professionalism and tact. Contracts are the backbone of any freelancing relationship. They outline essential details of a job such as payment, due dates, expectations, and more. What you may not know is that contracts can also dictate how you work outside the client relationship in question. As with any contract, always read through very carefully before signing. This includes the fine print and any “standard boilerplate” contract terms. Somewhere within the fine print is an ideal hiding place for nasty surprises. Let’s look into some of the terms you should look out for when considering working for clients and their competitors. When speaking about contracts, every freelancer should be on the lookout looking for non-compete clauses. Non-competes are conditions or limitations a client puts in a contract that can drastically change your business. Essentially, they dictate who (and sometimes when) you can or cannot work for going forward. The wording of non-compete clauses can vary, and it’s essential to catch and understand them before signing to avoid limiting your growing business. It may seem simple enough, just avoid those three companies, right? Sure there’s plenty of fish in the sea, but as a freelancer who’s regularly fishing in those seas, why limit yourself? 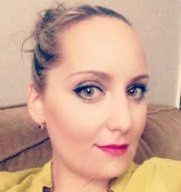 Especially as a niched-down writer, you may very well find yourself pitching to companies in the same line of work, and oftentimes, ones in competition. Entirely closing the door on even just a few potential clients could immensely cut your earning potential. An inexplicit clause like the one above is extremely problematic for freelancers. Who is considered a competitor? What constitutes a potential competitor? With nondescript terms, it could very well exclude nearly all new clients. Stay far away from contracts like these if you can help it! Additionally, non-compete contracts could enact clauses in perpetuity, meaning you can NEVER write for those other companies. By signing a non-compete, you can risk closing the door on future income, forever. If your client proposes a non-compete, you have two options. You can ask the client to amend or remove the clause or walk away. If a client wants the kind of exclusivity that many non-competes presume, they’ll need to pay for it. Remember, by blocking you from working with other clients; a non-compete drastically impedes your ability to earn. Depending on the type of clause proposed, agreeing to one may very well be the same as committing to a one-client workload (without the benefits of a full-time employer) rather than the freedom a freelance contractor enjoys. While one should be wary of non-competes, non-disclosure clauses are quite standard for contractors such as freelancers. A non-disclosure usually states that the contractor (you!) agrees not to divulge specific information to the public or competitors. If you do take on a client who could be considered “in competition” with another, you need to be careful of the content you provide in a few ways. Firstly and possibly most importantly, be sure you’re not repurposing your work. Plagiarizing yourself is a genuine concern! It goes without saying, you would never publish the same article for different clients, but this takes it a step further. When covering comparable topics, you need to be mindful that you’re not using too similar of phrasing or ideas. Especially when working for competitor clients, the last thing you want to do is merely reword the same ideas you’ve already used. You’re being hired to create unique content and need to deliver on that to keep a strong professional reputation. Secondly, be mindful that your name is (in some cases) on the byline. While it’s perfectly okay to examine topics from different perspectives, you want to sure you’re not outright contradicting yourself. As a freelancer, your portfolio helps build what is known as your “brand message.” Your brand message is often what helps interest niche clients to hire you in the first place. For example, if you take a firm standpoint on an issue, vehemently opposing your previous viewpoint for another company can hurt your credibility. Many times, clients are attracted to your work based on your tone, voice, and message. By all means, explore topics from other vantage points. After all, writing in a niche requires you to delve into all aspects of a subject to provide original content. That being said, it is crucial for a niche writer to stay “on brand,” even across clients. Depending on their full-time employment, those who are freelancing part-time may come across a particular issue that can bring the competitor issue to a standstill. Some employment contracts specifically prohibit certain types of work outside of your “regular” employment. For example, a company may dictate that working for a competitor of any kind, in any capacity (that means you freelancer!) may void your employment agreement. While not entirely typical, it’s worth a once-over of your contract to be sure you’re not violating any agreements before taking on a new freelance client in the same realm as your day job. Better safe than sorry! When you find yourself in a competitor conundrum, try to approach it in a business-minded manner. It’s important not to lock yourself into a situation where you’re restricting your business potential. It’s also worth noting that keeping good relationships with clients pays off in spades. If you’re at all concerned about how a new client may affect your relationship with a longstanding one, give them a heads up. Without going into too much detail, you can always drop a quick line to let a client know that you’ve been working for a company they might be familiar with and may see your name on a byline for them in the future. As long as you’ve read the fine print, stayed cognisant of your content, and fostered good relationships with your patrons, competitor clients shouldn’t be a cause for concern.